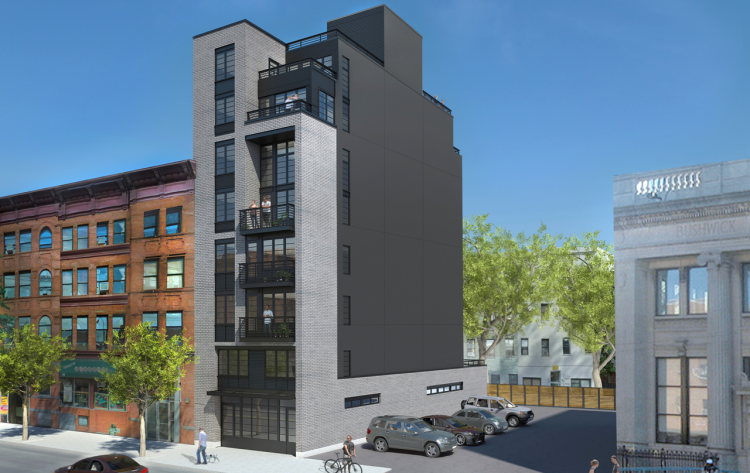 We’ve spotted updated renderings for S3 Architecture-designed 738 Grand Street in Williamsburg. We reported on the 10-unit, mixed-use project in June 2013. 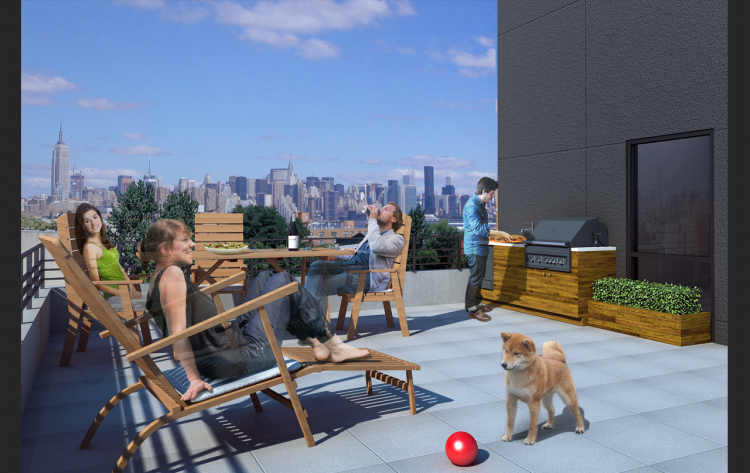 Now, the architect has posted a bevy of new images for the slender, industrial-style development between Humboldt Street and Graham Avenue. The building will have one- and two-bedroom condominiums, and the two upper floors will be duplex apartments with double-height spaces, according to S3’s site. The design will employ brick, painted steel beams, steel and glass windows and metal siding. Kitchens will have rift cut oak cabinets, Electrolux and Liebherr appliances and glossy subway tile backsplash; the bathrooms will be fitted with marble and porcelain tile and Kohler fixtures. Looks like the facade will be gray this time around (old rendering here for reference). The plan exam application, filed in March 2013, was disapproved; according to S3’s site, the building will start construction this year.